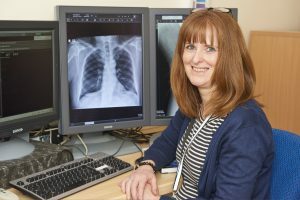 We have appointed our first consultant radiographer in a forward thinking move aimed at benefiting both patients and staff. Louise Small, who has worked at all of the three HGS hospital sites over the years before becoming a university lecturer, returned to the Trust to take on the exciting new role in January. The role – which is a new one – is aimed at boosting and developing radiography in the Trust. As part of her role she is leading a team of 11 plain film reporting radiographers across all of the three HGS sites. 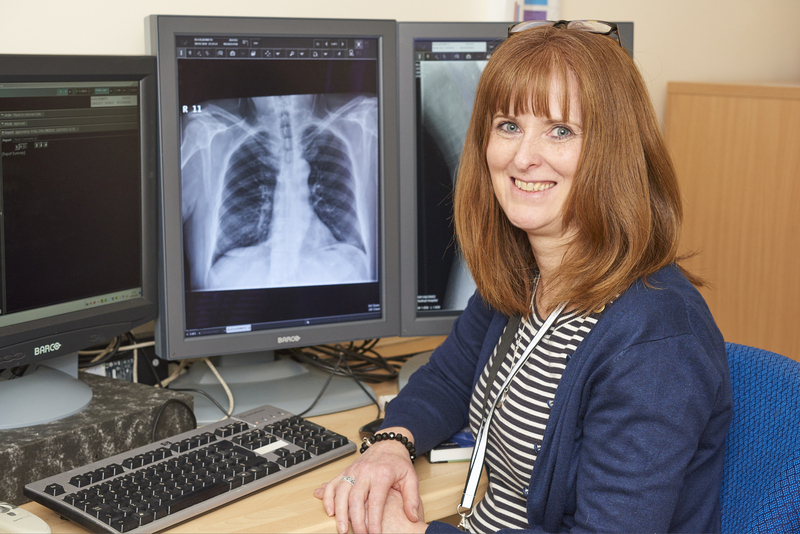 She aims to improve report turnaround times for images such as X-rays and help develop the educational side of staff development in conjunction with the department educational leads across all sites. She also aims to work with other professions to develop shared learning between disciplines, keeping the patient at the centre of everything we do. gained her Masters in Education and PG Dip in image reporting. She is looking forward to the challenges of her new role. She also wants to maintain the department’s high level of reporting accuracy by continuing the monthly audit of reporting accuracy. Louise plans to use her university teaching background and experience to aid staff development and is already introducing lunchtime talks for staff. She will work with all staff ranging from undergraduate student radiographers to doctors studying for their plain image interpretation exams as part of their Fellowship of the Royal College of Radiologists. She is determined her department should not rest on its laurels and always be striving for more improvements. Having a consultant in position should also boost the reputation of the department and raise the profi le of the Trust. She’s already planning to organise special interest groups for radiographers across the West Midlands region. Louise and her colleagues are also organising accredited study days which will be advertised nationally with aim of attracting a diverse range of health care professionals with an interest in developing their knowledge of image interpretation. Louise is also completing a piece of research looking at the role of clinical history in the valuation of chest radiographs. Once Louise has finished this she hopes to have it published later this year.